Following an agreement between the governments of Japan and China in May this year, ANA will, from February 1, 2016 onwards, increase the frequency of flights between Haneda Airport and Shanghai. ANA currently operates one return flight per day on this route, but with the introduction of the winter timetable starting October 25, 2015, the number of flights will be increased to two daily (as already announced on August 4, 2015). ANA has now decided to introduce a third return flight, which will operate in the late night/early morning, and start operations from February 1, 2016, prior to the Chinese new year. 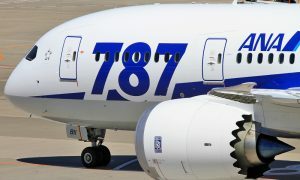 The new timetable will offer passengers an expanded range of choice as the current flight departing Haneda in the morning and returning in the evening will be joined, from October onwards, by a flight departing Haneda in the evening and returning at noon, and from February 2016 onwards by a flight departing Haneda at night and arriving back in the early morning. 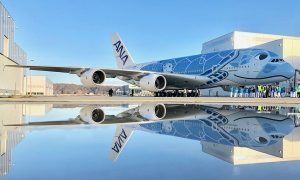 Including flights from Narita Airport, this brings to six the total of return flights operated by ANA between Tokyo and Shanghai, the largest number of flights between the two cities operated by a Japanese airline. 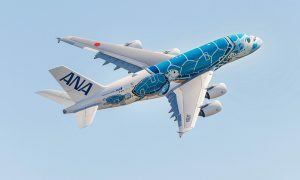 The additional flights will not only allow passengers visiting Japan from China to spend longer in Japan, it will also make it more convenient to travel from Japan’s various regions to China when using Haneda Airport to transfer from ANA network of domestic flights onto international flights.